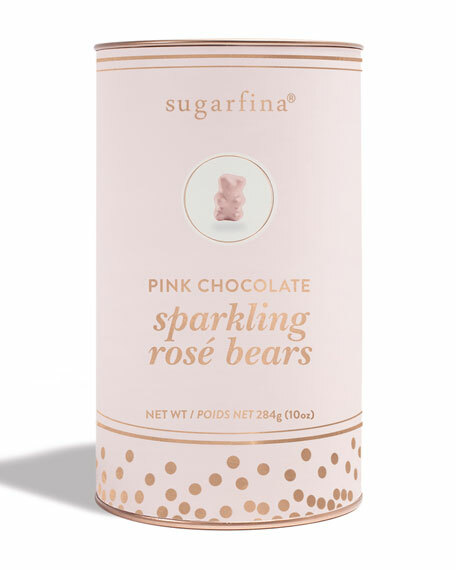 Sugarfina® pink chocolate "Sparkling Rosé Bears" canister. Net. wt. 10 ounces (284g). Allergen Information: Contains milk, soy, and hazelnuts. May contain wheat, peanuts and tree nuts.